The world is a better place when you plant shrubs and trees. I've never met a bird yet that doesn't like perching in a bush or tree. 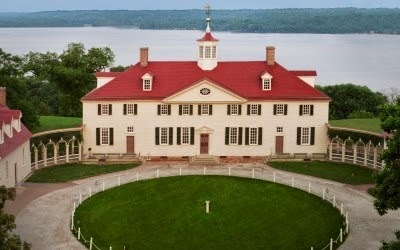 Did You Know that still standing at President George Washington's Mt. Vernon Estate is one of his favorite trees? Our beloved President Washington truly enjoyed the tulip poplar tree. It's affectionately named for its tulip shaped, greenish-yellow to orange flowers. This is one of two Tulip Poplar trees George planted in 1785 in his front yard (President Washington died in 1799). The long front yard was designed to create a grand entrance to the mansion as travelers came up. The yard was called a bowling green, where games could be played. It was lined with trees, including these two tulip poplars, on either side of the green to gradually narrow towards the house from both sides to direct attention to the grand house. 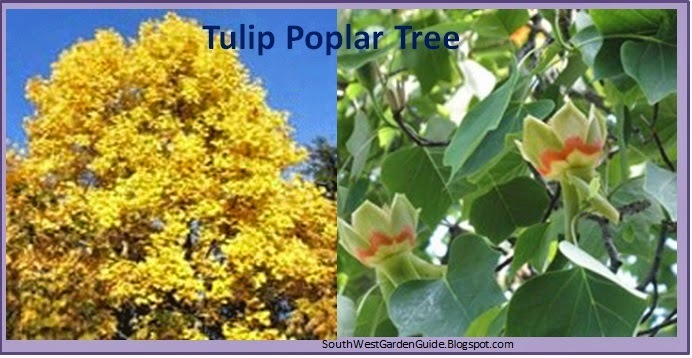 The tulip poplar is easily recognized by its beautiful late spring flower show and its almost equally vibrant fall colors. This tree is the tallest of North American hardwoods. It often growsup to 100 feet or more and it's used in making furniture, cabinetry, musical instruments, and wood veneer. In the early history of the United States, tulip poplar trees grew to be giants up to 200 feet tall or more! It's most known on the Eastern sea board and is most loved for its large, yellow and orange tulip shaped flowers. The flowers often bloom in May and early June. The trees are absolutely stunning. You can see them from afar. Tulip poplar trees grow in a pyramidal shape when young and oval at maturity. They absolutely maintains their beauty throughout the year. Summer leaves are shimmering green, fall foliage is bright gold, and they attract wildlife galore! They also have a small fruit which remains on the trees long into the winter. If you've never seen one in person, do a Google search. They're very beautiful and to see one in person is awesome and truly moving. 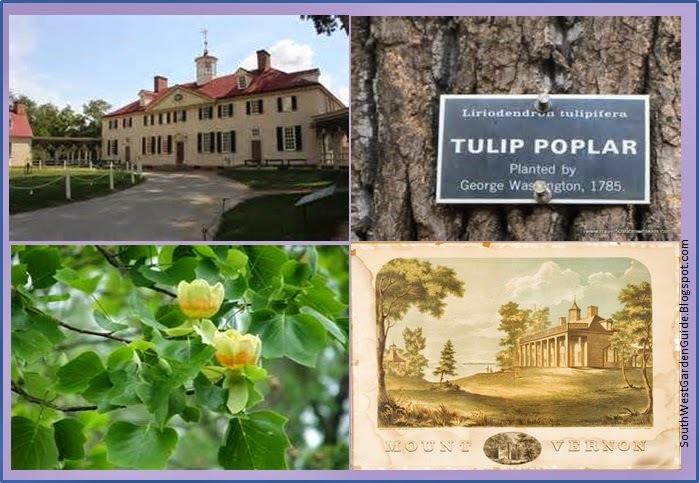 Tulip poplar are of American history. They're part of the American quilt. They're also an honored tree in some prestigious gardens of Europe. The lumber industry often calls them yellow-poplar. They're perfect for making furniture or even boats. In Tennessee they're called canoe wood because Native Americans and early settlers carved canoes from its light, buoyant trunks. A cool fact is that woodsman and frontiersman Daniel Boone chose such a canoe to carry his own family from Kentucky to the western frontier. Whether you call them tulip poplar, tulip tree, canoe wood they're historically known for having a wide range of medicinal uses. They're leaves, sap, bark, seeds and pollen are made into teas, ointments, salves, compresses, powders, liquid solutions etc. George Washington admired this tree because of it's beauty, it's tall stature, medicinal properties and the advantage to attracting wildlife at Mt. Vernon. 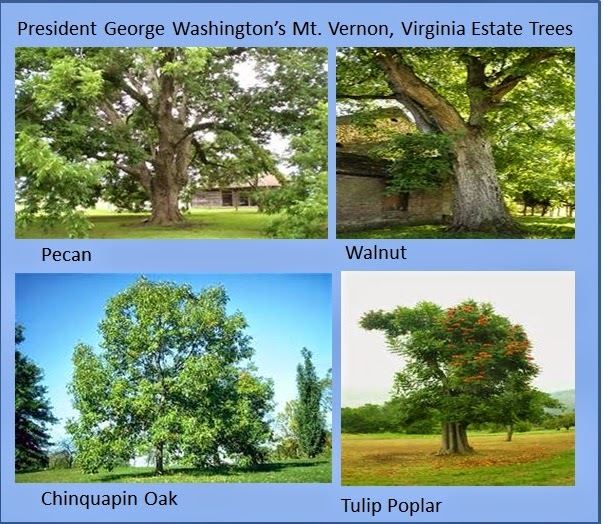 The still living giant tulip poplar that he and his family planted in 1785 is being selected as Mount Vernon’s official Bicentennial Tree. Trees and shrubs can are just as much of a historical icon as a person or place in America. 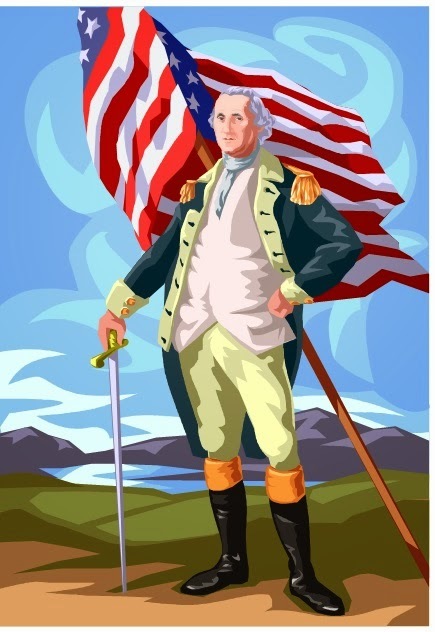 Other trees still in existence planted by then General Washington are pecan, walnut and chinquapin oak trees. Consider this all-American classic tree if you reside in hardiness zone 4 - 9 and you have enough space for one of these grand trees. If you ever have wondered about when to either plant or prune shrubs and trees, join the club. It’s a confusing subject because, everyone seems to have contradictory advice. I can only give advice based upon my own planting and pruning success and failures. I've found living in hardiness zone 9 that the best time to prune most deciduous trees (when leaves begin to fall) is in winter. The first reason is because, it’s easier to see the branches when the leaves have fallen, the cuts will heal faster and completely, during the winter months there are less insects and diseases that can cause infection or damage, and the number one reason why you should either prune or plant trees is because a tree or shrub is most likely dormant and you’re saving the tree’s vital energy. Deciduous trees (dormant and have already dropped their leaves) store their energy, their food and sap during the warm months in their limbs and leaves which feed the continuous new growth. Trees send the sap down into their roots for winter storage when temperatures drop and the cold sets in. This is the perfect time to tap maple trees for their sap later to be turned into syrup. When the weather cools and trees begin to go dormant during transitional weather, sap goes down into the roots at night when it gets cold, and then flows back up into the tree during the warm days. So it's my opinion that when you prune a deciduous tree during active growing time you’re taking not only the limb, but all the sap and energy stored within it. Cutting trees during the summer months completely stresses the tree more than usual. It’s like a human losing blood. Trees are anemic so to speak. I find trimming trees best in zone 9 between December - February. I'll first look at a tree to see if it's gone dormant or not. I can get away with trimming trees and shrubs during October or November depending upon what it is. I wouldn't trim my cypress or orange tree until January or so. I would consider cutting my Japanese maple during November because, all of the leaves have dropped. An important thing to remember is that we have an extremely short winter here in southern California. Our window of opportunity to clip, cut and trip deciduous trees is short. Keep one eye on your calendar and the other on your trees. 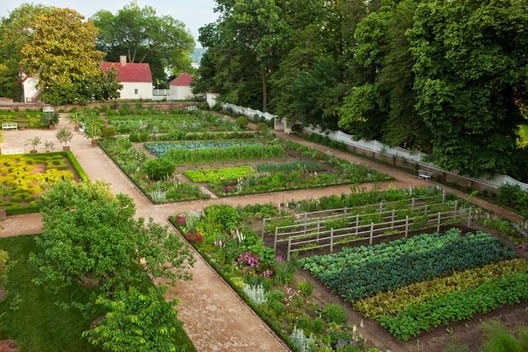 http://www.bhg.com/gardening/plant-dictionary/shrub/ or click the BHG icon. They've uploaded an entire encyclopedia and it's available for free.